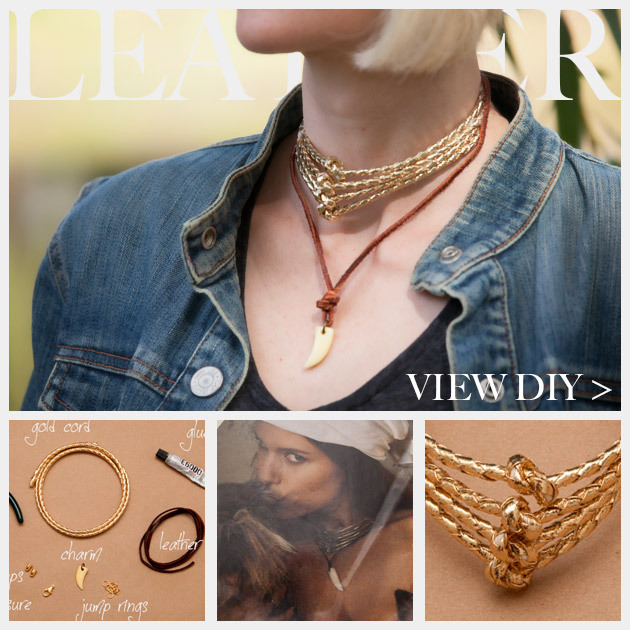 A mix of texture and shapes make this Gold Cord & Leather Necklace DIY a unique piece of jewelry, and perfect to pair with denim or any natural materials. My inspiration came from seeing this photo in Bazaar magazine, unfortunately when I tore it out of my magazine I guess I was so excited I forgot to check who made it or where it came from. But it is really nice and it definitely deserves credit. 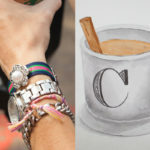 Make sure your charm has a jump ring attached to it. Mine came from an old pair of earrings, so it already had a jump ring. 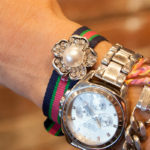 Thread your leather lace through the jump ring on your charm. Tie a knot just above the charm on the leather cord. 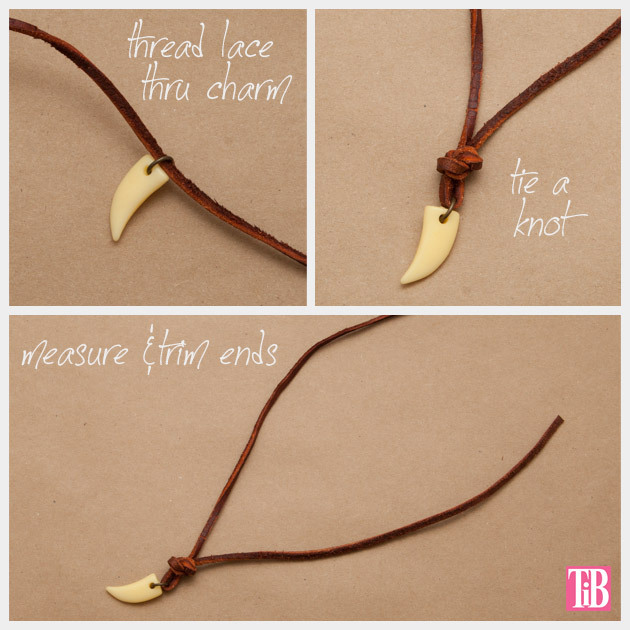 Measure your leather lace around your neck and trim it to the length you want it to be. 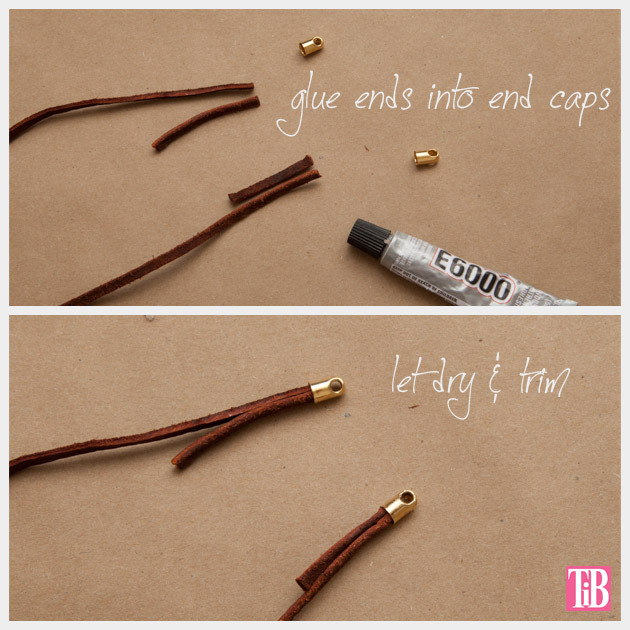 Put a small amount of glue inside your end caps and press the ends of your leather laces into the end caps. TIP: If your end caps are a little big or loose on your leather laces, you can add another piece of leather lace to help it to fit tight into your end cap. Once it dries you can trim off an extra. 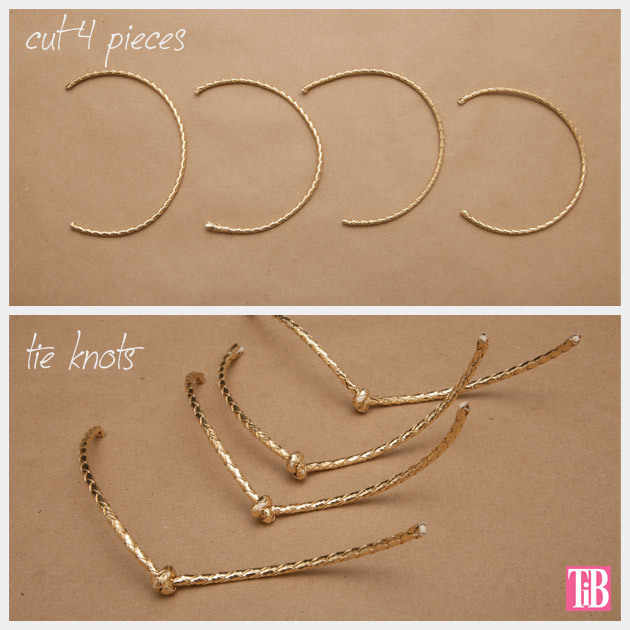 Take your gold cord and cut it into 4 pieces. My pieces are 10.25 inches long each. 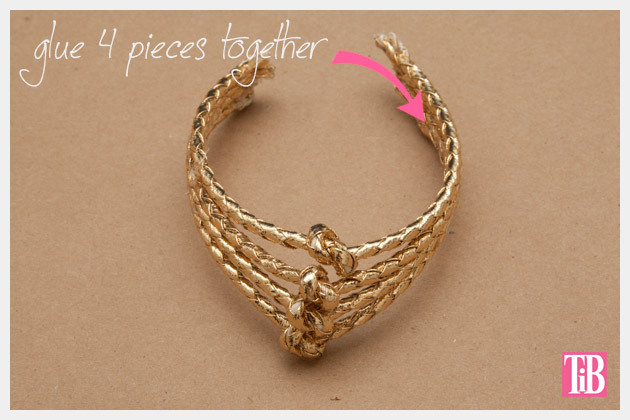 Tie a simple knot in the center of each gold cord. 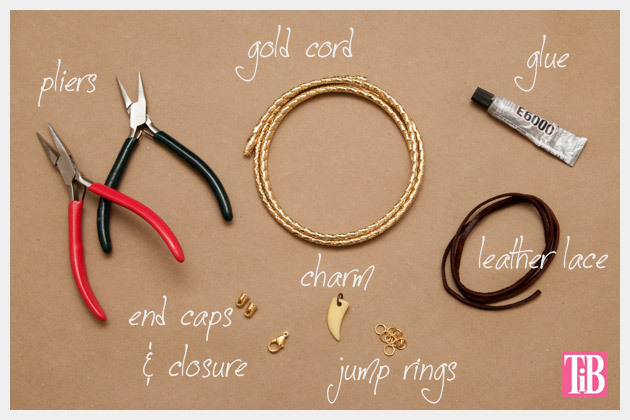 Using your hot glue gun, glue your gold cords together. I recommend gluing them together down the sides from the end toward the center about 2.5 inches. You may need to manipulate your cord as you do this to make sure it lays straight. 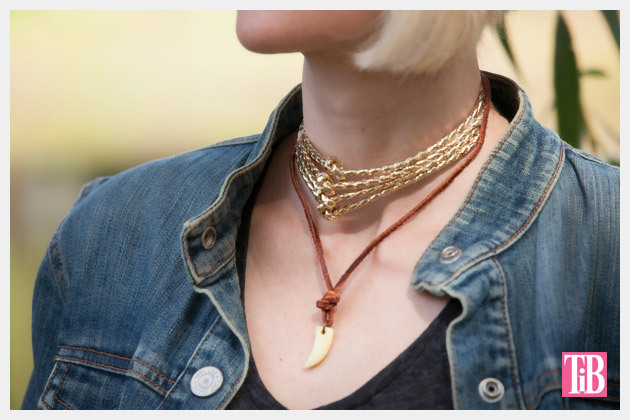 Now you are ready to glue your leather lace to your gold cords. 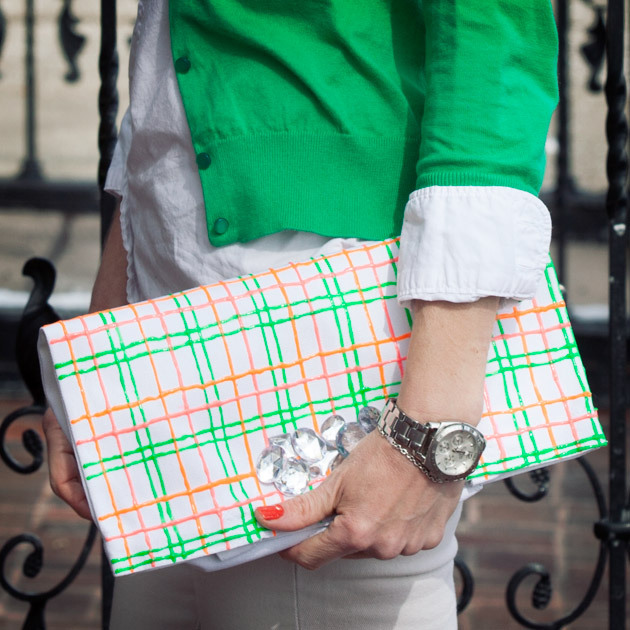 Double check your placement by holding it up to your neck, this will give you the best idea of where to attach them. 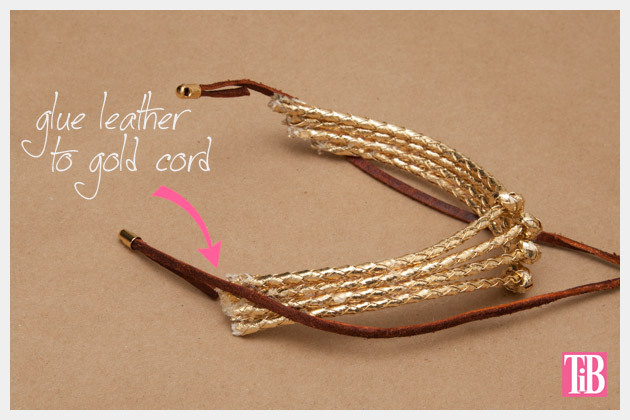 Be sure to glue the leather lace at an angle along the outer side of your gold cords. When your glue is dry you can trim off any extra gold cords that are showing and if you need to trim your leather laces you can do that too. Use your pliers to open the jump rings to add them to the end caps. 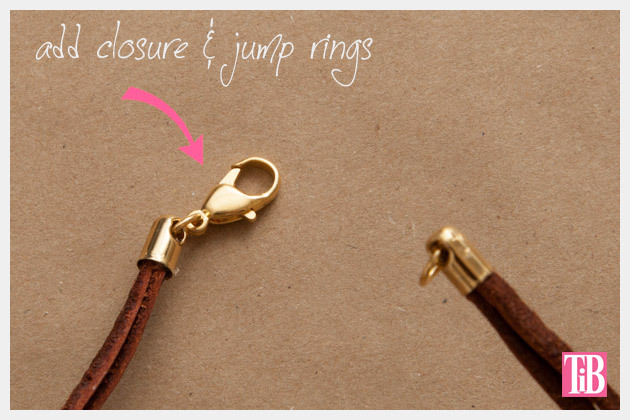 Add your closure to one end with a jump ring and just one jump ring to the other end. 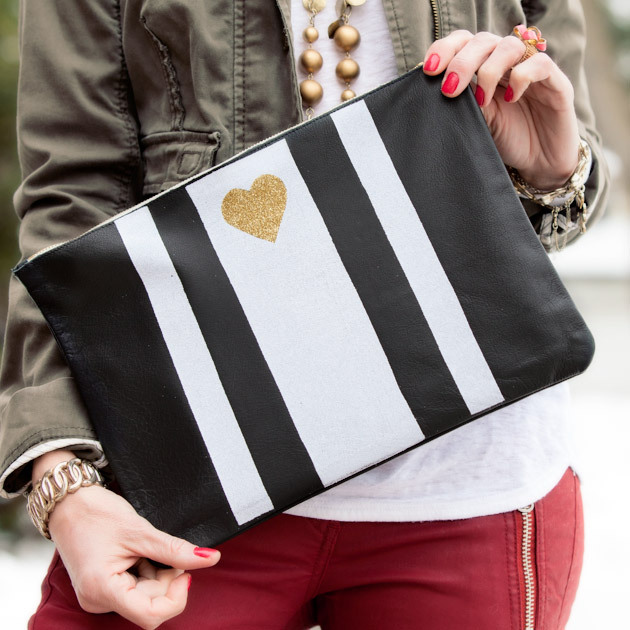 Be sure to leave me a comment and let me know how you make yours! 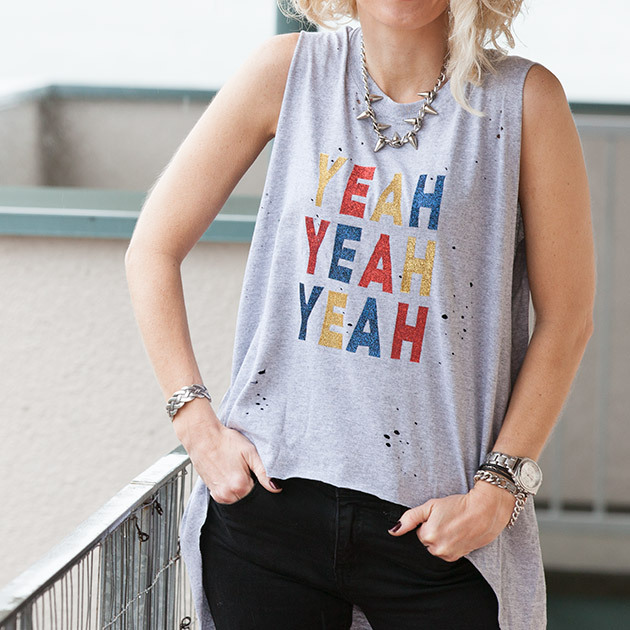 I love to hear from you. What size leather lace did you use. I love this!